I feel like I have a duty to discuss an epidemic that is affecting moms all over this country. There’s a dirty secret that no one wants to talk about. People are going to be mad at me after this but it is time to shine light on an addiction that has the potential to damage the family dynamic as well as modern civilization. That’s right. I am talking about Candy Crush. What is Candy Crush? SAID NO ONE EVER! If you don’t play then you know someone who does. 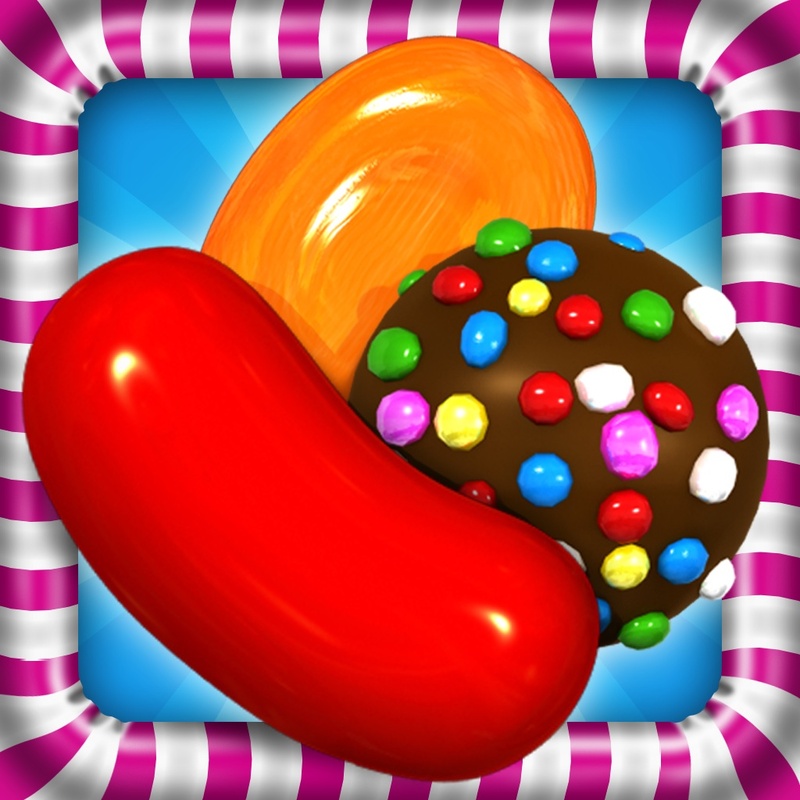 It is an evil, addictive game that lures you in with its sparkly colors and fun candy shapes. Seems harmless enough. It is just candy after all. Everyone loves candy. All you have to do is get three identical candies in a row and the row disappears creating an avalanche of falling candies. This creates new matches. Your points go higher and higher. It is such a rush, a candy rush if you will. Then you’re introduced to your first striped candy. What is the power of this candy? You switch it with a wrapped candy and an enormous candy appears and takes out several rows at once. You scream for people to come look, then realize that you are sitting in your car. Alone. How did you even get here? Next just like something out of a movie, a large black candy covered in multi-colored lights appears. It is surely the crown jewel. It must have magical powers. You swipe it and the universe as you knew it is now altered. Candies are moving, flashing and falling. Your points are climbing higher and higher. Now your only goal in life is no longer to raise well-adjusted, happy children. It is to create another one of THOSE candies. You. Must. Have. More. You are now addicted to Candy Crush. Let me just say right here, if you don’t understand what I am talking about, then for all that is good please keep it that way. This game will take over your life and your soul. You may play the same level 50 times without a victory but on that 50th time when the stars align and you have only one move left, it happens. The last of the ingredients make their way to the bottom of the screen and disappear. Suddenly all of the stress and wasted hours of your life are justified. You just beat another level. One level, out of the remaining HUNDREDS OF LEVELS. Just when you think you have this game all figured out though, it throws you a curve ball. Chocolate anyone? How about some candy bombs? You can’t do that! Can you? I will NOT play this horrible game! No one warned me how cruel it could be. Then three minutes later you are playing once again. I forgive you Candy Crush. You should be cooking dinner for your family yet you are locked in the bathroom with your phone. You swear that you’re only going to play the five lives that you have left. Then you will start supper. You play. You lose. You play. You lose. Soon all five lives are gone. You do what any good mother would do. No, not go cook. You get on Facebook and beg your friends to send more lives! You think you have finally figured out how to beat this level. Just ONE MORE LIFE! PLEASE! Mom? I’m hungry. Are you dead? Can you unlock the door? What has happened to your life? You used to be such a good mother, wife and friend. Now you’re only friends with people on Facebook so they will send you more Candy Crush lives. You have to take your life back. You stand up, unlock the door and walk out. You place your phone on the table. You will not let this game monopolize your time anymore. You never really liked it anyway. Stupid game. You head to the kitchen. Your family is staring at you. They know what you’ve been doing. No one says a word. You start the chicken and tell your daughter that you have to check your iPad for an important email. She knows you’re lying. She shakes her head and walks away. You glance down at the screen to see Facebook notifications. You know better than to look. You look. People have sent you more lives. There they are, begging to be used. If you could just beat this one level then you won’t play anymore, until tomorrow anyway. You are no quitter and this game will NOT defeat you. You text your husband to bring home takeout and retreat back to the bathroom. Don’t act like you don’t know that this game is all consuming. How many times have you been standing face to face with your girlfriend, trying to talk to her, and she keeps looking down at her phone. She is playing Candy Crush. As you sit in the school pick up line, no one socializes anymore. Instead they are spending those last few kid free moments trying to make it to the next level. What has become of our lives? Back in the old days, kids only had to worry about their mother being an alcoholic or drug addict. Maybe Mom would sneak into the closet to binge eat from time to time. But now? Your mother is locked in the car, with glazed eyes, holding her phone, swiping her finger across the screen again and again. No kid should have to see that. Nice job Candy Crush. Nice job. FUNNY but true!!!!!!!!! I just started playing about 6 weeks ago…………..
Well said Tonja, well said. You know Mary. You know.